﻿ Satya Da Nang Hotel (Vietnam) | FROM $50 - SAVE ON AGODA! "The staff is very helpful and we enjoyed their breakfast a l..."
Have a question for Satya Da Nang Hotel? "Good location just infront of pink church." "Excellent location to all the places." "Will return to stay there when i am in DaNang again." 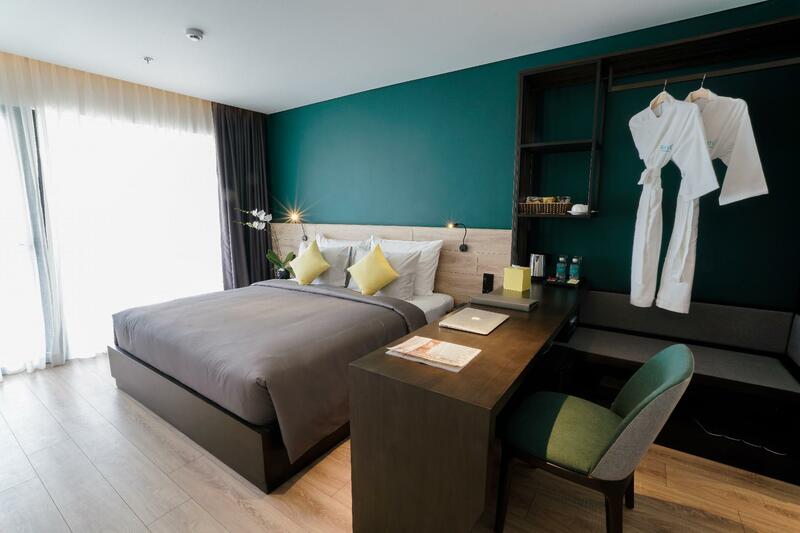 Whether you're a tourist or traveling on business, Satya Da Nang Hotel is a great choice for accommodation when visiting Da Nang. Situated only 100 km from the city center, guests are well located to enjoy the town's attractions and activities. With its convenient location, the property offers easy access to the city's must-see destinations. 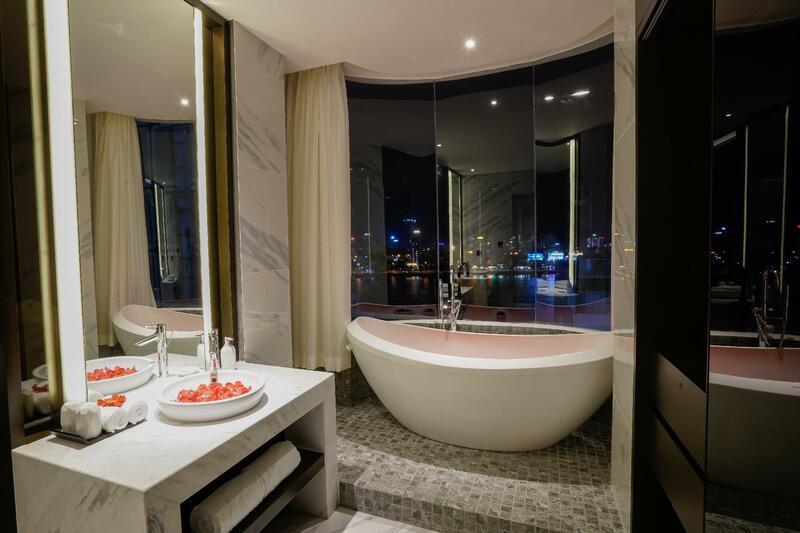 Satya Da Nang Hotel offers impeccable service and all the essential amenities to invigorate the weary traveler. 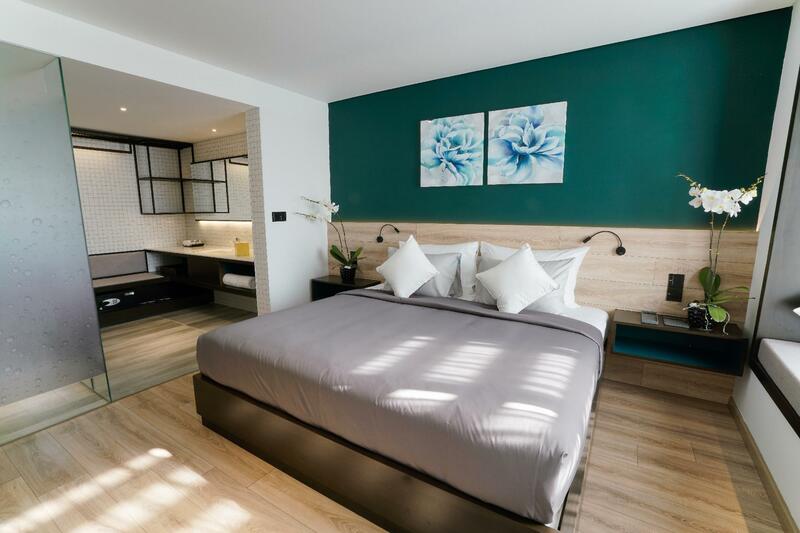 The property offers access to a vast array of services, including free Wi-Fi in all rooms, 24-hour room service, 24-hour security, daily housekeeping, grocery deliveries. All guest accommodations feature thoughtful amenities to ensure an unparalleled sense of comfort. The property's yoga room, hot tub, fitness center, indoor pool, spa are ideal places to relax and unwind after a busy day. 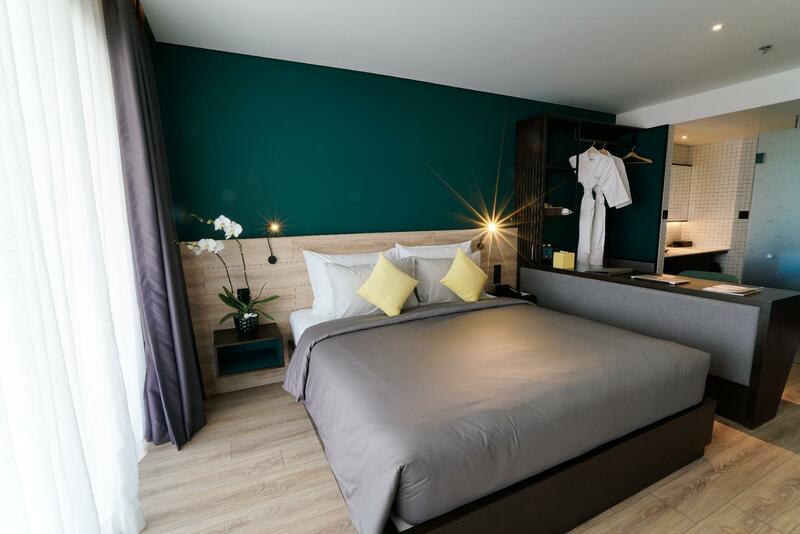 Satya Da Nang Hotel is a smart choice for travelers to Da Nang, offering a relaxed and hassle-free stay every time. The location is in the heart of the city. Easy access to Han market and many restaurants nearby by foot. The Cathedral is just opposite the hotel. Be aware if you are a light sleeper, make sure to request the room far from Cathedral as we stayed during the weekend and the church rang the bell at 4-5AM in the morning!!! On saturday after the bell there was also chanting/praying until 6.30AM, not sure if this is regular for the weekend. Great location but avoid room facing the busy small street (room X01-X03) facing the cathedral. The hotel window s are not soundproof, so you’ll hear the traffic noises at night and early day. Not good for light sleepers! Booked the Suite Room. Room was big and clean. Even though the room was facing the main street, the noise couldn't really be heard. Hotel staff were attentive and thoughtful. They noticed my girlfriend's Birthday, and prepared a cake to surprise us. (Really appreciate it.) The only down side was that when I asked to extend my stay by another night, the rates offered to me by the hotel was much higher then the price from agoda. Staff insisted that direct bookings through the hotel are much cheaper(Even though I showed her the Agoda app price). I ended up doing my booking through Agoda and requested to keep the same room. Other then that, really enjoyed my stay at the hotel. I have stayed at Satya Hotel for 2 Nights. It was great. In the middle of Da Nang. I had a Deluxe room with balcony. All Amenities were there. The shower is perfect. The bed so cozy. And everything was very clean and stylish! Breakfast has something for everyone, with egg station. And on top of all that, the staff was even better. Always helpful und smiling. Everybody! But special thanks to the ladies at the restaurant, so sweet and helpful!! Absolut recommendation!! The location is good, close enough to the Dragon Bridge and river. No decent supermarket nearby to get snacks and water. Room is great, bed is firm but the pillows are so flat with zero support. Breakfast is alright but they do make effort to change up the hot food items. Good location just infront of pink church..walking distance to see the dragon bridge..next to Han Market...Good service for Private Tour! Thanks to all receptionist for your kindly help! Nice Breakfast! Dearest Valued Guest! Greetings from Satya Da Nang Hotel. Thank you so much for choosing the hotel and appreciate your taking time to post an excellent review of “Great location, service, accommodations and our staffs” on Agoda. It was amazing reading your review in details. We have shared it to all our staffs to make them the best motivation to do better. We are very proud that you had a memorable stay with us. Once again, thank you and we hope to have chance to welcome you back at the soonest. Best regards. SATYA TEAM. The location of the hotel is great. You can get to many attraction places by grad with just within 10mins. The hotel just opposite from the Danang Pink Church, by walk, just 1 mins. Staff is friendly. Everything is nice. The overall experience was excellent. The staff was great, rooms very comfortable and breakfast outstanding. Central location and very close to the airport. I’d definitely go back. Dearest Valued guest, Warmest greetings from Satya Da Nang hotel Thank you so much for choosing us for your stay and sharing us such a kind-hearted review on Agoda . We are so happy to know that you was so satisfied with our services .Again, how wonderful it was for having chance to meet and serve you recently. We, Satya entire Team looks forward to your return soon again and hope next coming trip will be more exciting than previous ones. Kind regards SATYA TEAM. The hotel is located right opposite of pink Cathedral. Very close to Han Market, about 3 minutes walking distance. 15 minutes walking to Big C and Con Market. Dragon bridge is also not far away. We were upgraded to Suite Room which is roomy and well planned, right size for three of us plus 3 big luggage bags. Staff are friendly and helpful. We are happy with our stay at Satya, highly recommend. Nice hotel with kind staff and clean room. And the view is really great to watch the dragon bridge and cathedral! But, the bedroom and the bathroom is connected with no door.. so if your companion is not confortable, please book another hotel. 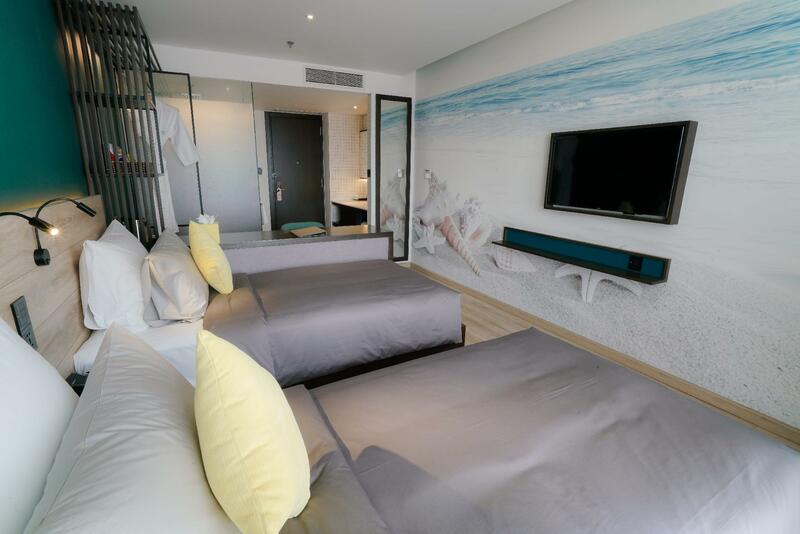 Nice, modern new hotel in perfect downtown location of Da Nang. Close enough to the beach to walk or take taxi. Very clean and comfortable rooms. Lots of restaurants very close and the Hàn Market is 1 block away! I will stay here again, especially with the price I get on Agoda! Satya has good accessbility to the popualr restaurants and jewelry alley. Also, there ‘s no con for changing dallor into Viet money. The staff is very freindly and smile all the time. The room is cool when the air-condition is on. Will visit here if I come to Danang again! New hotel means new facilities. Good location as just situated opposite the DaNang pink cathedral. Walking distance to both Han market & Dragon Bridge. Delighted to get a room upgrade. Highly recommend for those travelling to DaNang & prefer to stay at town than beach. Would stay here again if i come back to Danang. Room was clean and spacious. Design of the room were modernized and beautiful. We've enjoyed our stay there. My only complain was that the check-in process took 25 mins long. Hôtel très bien localisé et chambres avec de très belles vues sur la rivière et les ponts magnifiquement décorés avec de splendides jeux de lumières. Les chambres sont très confortables et modernes. Le buffet du petit-déjeuner est excellent. Le personnel est très sympathique et serviable. J'ai eu droit à un excellent gâteau pour mon anniversaire, quelle belle surprise!!! Un excellent séjour, BRAVO ! We stayed for 3 nights in the hotel with 2 young kids (1 yr and 3 yr). The staff is very helpful and we enjoyed their breakfast a lot. Lots of choices and delicious. The location of the hotel is very convenient to most restaurants, coffee shops, spas, and markets. I would definitely stay there again!